Pet owners buying a new home..
Everybody needs love and also, everybody needs a place to live. Anyone with a dog who has rented knows that the odds are stacked against them. Property managers tend to lump on fee after fee, along with tons of restrictions, if they’re even so generous as to allow a dog. The millennial who is ready to buy a home has possibly become sick and tired by the pricey rigmarole that goes along with renting with a dog. Buyer beware: If you’re purchasing a condo or an apartment, Home Ownership Associations can present similar obstacles for your pooch.Recently, a Harris / Suntrust Mortgage poll made the news because of its conclusion that pets played the biggest role in Millennial’s’ (young adults born during the 80s and 90s) decision to buy homes. In fact, having a pet trumped marriage and children as the main reason for Millennial home purchases. Prospective home buyers with pets should certainly check to see if an HOA is involved, and what it requires. Beyond that, buyers must also disclose to their home insurance agent information about their dog. 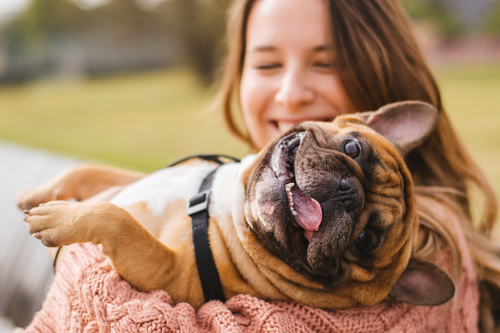 99 % of pet owners said they consider their animal part of the family, and this becomes apparent in the sacrifices pet owners are willing to make when it comes to buying and selling homes. 89 % of those surveyed said they would not give up their animal because of housing restrictions or limitations. 19% said that they would consider moving to accommodate their animal in the future. Pet “suites” with dens, beds, automatic waterers and more..